Is the Sun Setting on Tessera Solar / Stirling Energy Systems? 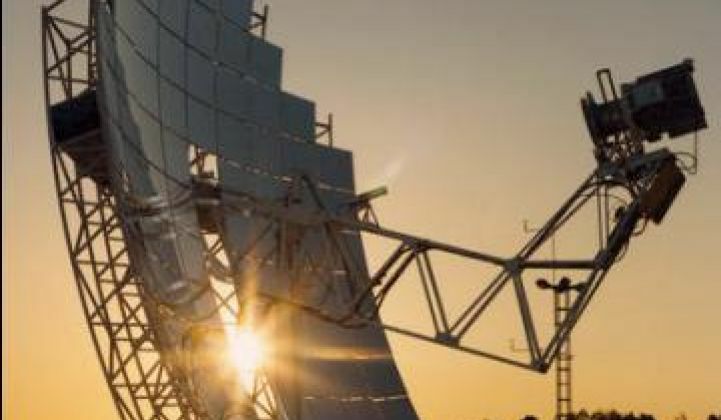 Calico project sold to another developer who will use PV, not dish engines, for 750 MW of the 850 MW. First, the news: Tessera/Stirling sold its 850-megawatt Calico project to a small developer named K Road Power. For the full press release, see here. Just a couple months ago, it seemed that things were going well at Tessera Solar / Stirling Energy Systems (SES). Back in October, Calico was the fifth large-scale solar plant to receive final approval from the BLM in their fast-track process. A week later, they got the final go-ahead from the California Energy Commission. But just last week, SCE cancelled the PPA it had for Tessera Solar's Calico project. Earlier, Stirling's CEO left, Tessera laid off employees and a judge slapped an injunction on the Imperial Valley project, which was the other Stirling/Tessera deal in the works. Oh, and parent company NTR said it wouldn't continue to invest in the projects. Only the employees at Tessera/Stirling know for sure, but the most likely issue was the inability to get the numbers to work. To cover the upfront and ongoing costs, Tessera needed to raise debt and tax equity -- and this was likely where the wheels fell off. It you simply plug all these numbers into Excel, you are only left with one variable -- and that is the return to the tax equity and direct (sponsor) equity providers. They generally require 15% to 20% on a levered CSP project, and my guess is that Tessera couldn't get there at the PPA prices they had signed up for. One potential complication is the "new-ness" of this technology, which may have caused the equity investors to require even higher returns, or to require that Tessera obtain third-party insurance in order to cover maintenance cost overruns in the future. This type of insurance would be very costly, and would likely have broken the economics of the project. What does this mean for Tessera's 709 MW Imperial Valley project? Well, one might say that the writing is on the wall. Nevertheless, according to the company's press release, "Tessera Solar continues its efforts with securing project equity and satisfying the required compliance work on the Imperial Valley Solar Project." Some may say that this is yet another example of a CSP project being cancelled and replaced with PV (see this story about NRG's Alpine SunTower project, which was originally scheduled to use eSolar's towers). But not all CSP is the same. Dish engine technology is clearly struggling, but tower and trough both seem to be in better shape. BrightSource's Ivanpah tower project has raised financing and is under construction. And Abengoa's Solana trough plant has finalized loan guarantees from the DOE. So while some parts of the CSP Ecosystem are facing extinction, other parts are moving forward. It should also be noted that removing the Calico project from the CSP Project Tracker & Map will make a substantial impact, as it represented 8% of all the megawatts under development.